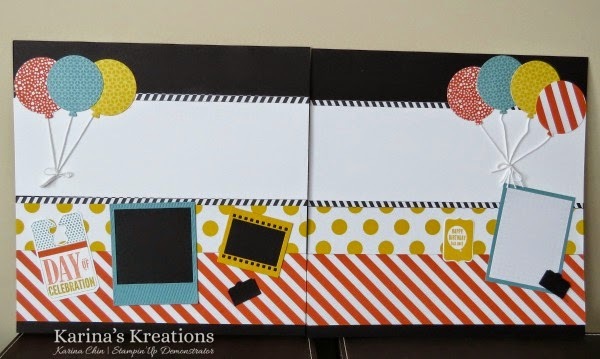 Karina's Kreations: Stampin'Up Scrapbook Pages! I have a scrapbook class today and this is the layout we're making. This was cased from Jennifer Gulch and I just had to make this page! 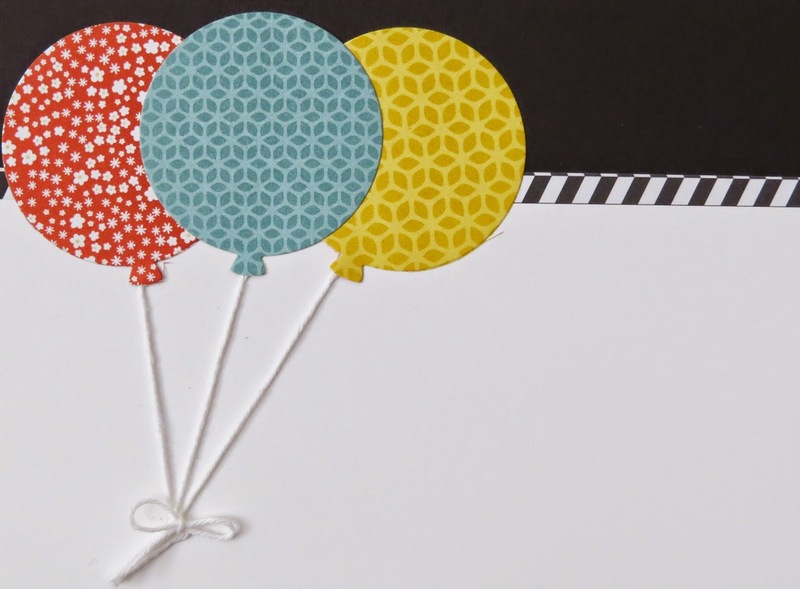 I love how she used the Balloon framelit dies. 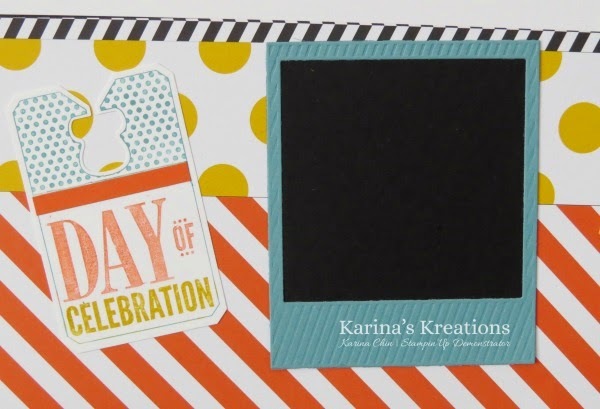 I added the Day of Celebration, Age Awareness and Occasions for you stamp sets. The designer series paper is from the Flowerpot pack. We get together once a month. I hope you join us next time.